Change is inevitable. Gone are the days when companies could keep using the same strategies for decades. The rapid advancements in technology and culture have forced companies to evolve and become better. 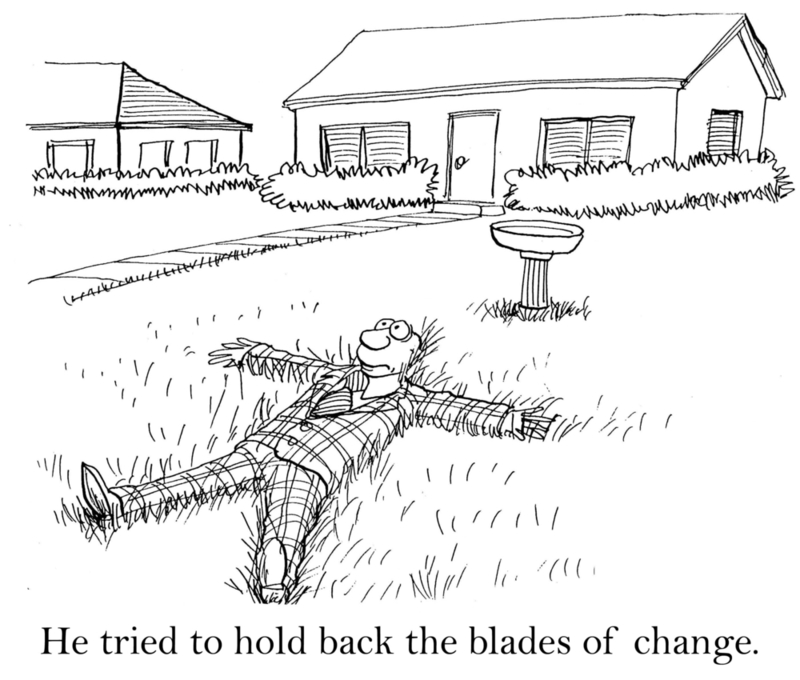 However change is also notoriously hard for companies. Organizations work hard to create business processes and work culture. When they are tasked with changing everything because of a technological or cultural change it becomes a daunting task. Bigger organizations have a much harder time managing time coping with change because they have to ensure that thousands of employees are on the same page. That is why change management training is necessary for all the key stakeholders in the organization. Change is difficult for companies because over time a company’s work practices become standardized. When you try to change them it causes a panic in employees. Employees who have been doing well in the old way of working are scared because they don’t know if they will still be able to perform just as well in the new way of doing things. This is often seen in companies that have been acquired by another company or when two companies merge. Employees that are the best performers know that they are appreciated by management and rewarded accordingly. They have no idea if the new management or the new management structure will be similarly beneficial for them. Change management training focuses on ensuring that the employees do not panic by highlighting their key concerns and discussing methods to tackle these concerns. 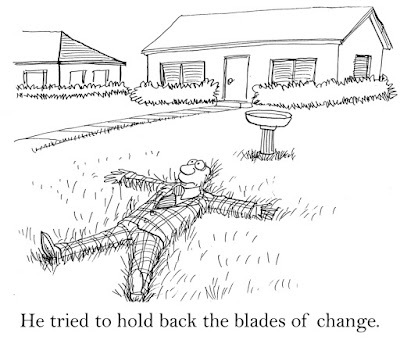 Change isn’t just hard for organizations; it is just as hard to change something in our life. Anyone who has tried to change their behavior or break a habit (such as going on a diet or trying to quit smoking) will know how hard it is. When you apply this to an organization the same feeling is amplified by every employee sharing their insecurity with everyone else. However training manages to overcome this hurdle completely. When you provide change management training to the people they know what they are in for. It familiarizes change and allows people to understand how it can be brought. Think of it as a river going one way. If it starts going the other way then there will be 3 kinds of people. Some people will still try to swim against the current and fail. Some others will try to stay right where they are and fail as well. The third group will simply start swimming with the new current and succeed. Training helps convert people from the first two groups into the third group. Change management training is especially important now thanks to rapidly changing technology requirements. Cloud computing, business analytics, and other information technology developments have made change a necessity for companies that want to compete in today’s market. Proper training will ensure that companies can shift from antiquated ways of working to new ones with an increase in productivity instead of a drop. Holding back change is impossible. Change is an inevitable fact of our world and it is happening at a faster and faster rate. And, as we look into the future, the pace of change will continue to accelerate. Change management consulting experts talk about change as having two main drivers: globalization and the growth of technology. Let’s look at how these factors affect business in our country today. The internet and social media have transformed the way we do business. Every organization is challenged to adapt. In the health industry, medical devices gather and analyze samples and data for practitioners; in retail, inventory systems are self-regulating and customers are handled by elaborate robot voices and phone trees; in manufacturing, machines set up their own maintenance schedules and robots are taking over assembly lines. As for personal phones, computers and the like, the number of new devices sold has grown tenfold to 2.5 billion since 2000. And there are over 3 billion people worldwide connected to the Internet. Every company, no matter what sector of the economy, must re-evaluate their strategy, their operations and their whole approach in the light of this dramatic and unrelenting change due to technology. Whereas the U.S. dominated the world’s economy for nearly a century, China has now become, in purchase power anyway, the largest economy. One of its standard-bearers, Lenovo Group, is the largest manufacturer of personal computers and operates in 60 different countries. China is just one of other emerging Asian markets that can shift the balance of economic power away from the U.S., the European Union and the other once rapid growth economies of Brazil and Russia. What can we do to meet the challenge of digital and global change? Leaders must prepare as best they can for the future. They must be flexible and adjust their strategies to accommodate technological change, not fight it. Kodak should have seen the writing on the wall when digital cameras first came out. Instead, they continued to invest in producing film for what would soon be obsolete cameras. Additionally, leaders should explore new markets for their goods. They should build relationships with other countries and explore the possibility of global partnerships. That’s what they can do at the high level. When it comes to leading their employees effectively through organizational change, they need to operate on a more personal level. As organizational changes loom, leaders must honestly and directly describe how it will affect the company and the work force. They need to show they have the confidence to weather the storms of change and ride high on the waves that can carry them successfully to shore. By modeling flexibility in the face of change, leaders can demonstrate how to survive and even thrive through the inevitable changes of the future. After decades of working with our clients in change management consulting, we have learned what it takes to effect organizational change successfully. We can boil it down to three major change factors…the super heroes of how to do organizational change right. The power of communicating not just the “what” of organizational change but also the “why” and “how” of change is critical. To buy into the need for organizational change, employees want to understand the purpose behind the change and have confidence in how to pull it off. Yes, they’ll want to know what they need to do differently. But they also need to know what the change will accomplish and how their lives will be improved. The super hero who can communicate well can build support for the change as well as the sense of urgency. This super hero understands the important role leadership plays in modeling successful organizational change. Leders will likely need to change their own behavior and show their enthusiasm before others will sign up and commit to the proposed transformation. They need to display confidence and a positive outlook. Change is difficult. If you show doubt or hesitation, your workforce will sense your attitude and copy it. Make sure employees are not discouraged by your attitude but are inspired by your clarity, effort and commitment. Successful change has to be a cooperative effort. The third super hero is the one who knows how to bring people together and work across boundaries. Everyone should be pulling in the same direction. The collaborator can show how individual employees can address the challenges of change and conquer them better together. By involving your team in the change process early on, you include them in tackling troublesome issues and bringing solutions to the table as problems arise. 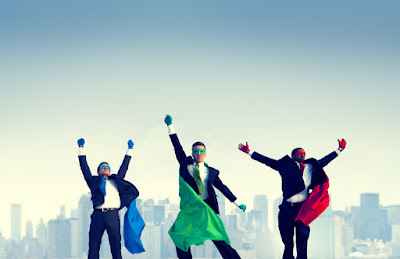 So listen to the change management consulting super heroes and focus on communication, cooperation and committed leadership to manage change successfully. When change is afoot, be sure you plan well. Our two decades in the field of change management consulting have shown us how critical it is to lay the groundwork for change before you announce it to your workforce. Successful change involves not only the operational side but also the people side; and it is the people side of change that so many companies neglect and why so many efforts at change fail. Studies report that as many as 50% to 70% of change initiatives are unsuccessful…an astounding statistic. It means that at least half of the changes begun are changes that never cross the finish line. Organizations seem to focus more on how to manage what needs to be done rather than explaining why it needs to be accomplished. If you really need and want to set a new direction for your company, you had better pay attention to the feelings of those you expect to implement it…your employees. 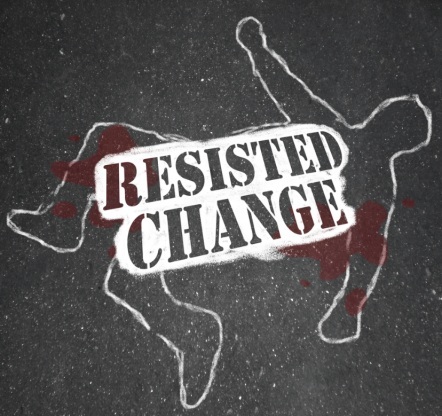 Understand that there is a natural resistance to change. Most everyone prefers the comfort and familiarity of the status quo. Smart change leaders know that employees will not easily give up what is familiar or what has worked for them in the past. Acknowledge what they value from the past while, at the same time, inspiring them with a clear and compelling vision of the future. Give them the time and space to absorb why change needs to happen and be available to answer their questions and discuss their concerns. Recognize that change is a process. It won’t happen overnight. Employees may need to learn new skills and behaviors. These will need to be taught, coached, modeled, measured and rewarded as the behaviors are applied on the job. There will be a learning curve…and perhaps a bumpy one. Just keep track of progress and celebrate it as you continue to move in the right direction. Paint the picture in a compelling way. The better the workforce understands what the future holds for them, the sooner they will commit to your vision of change. This is your opportunity to use all your powers of persuasion to bring employees to your understanding of why change is needed to secure a brighter future for everyone. Build resilience. Change is hard. There will be uncertainty, additional stress and, no doubt, many setbacks. 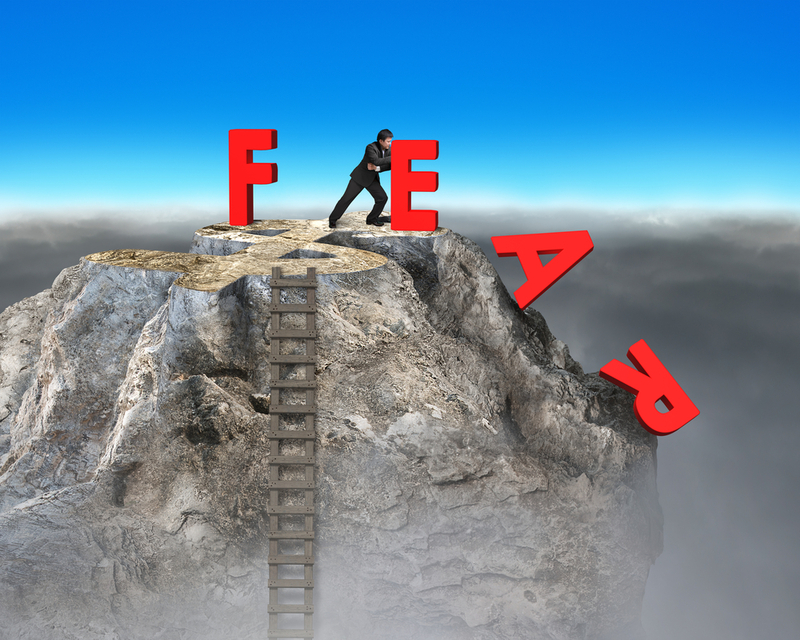 Prepare yourself and your employees to expect and deal with the difficulties in a healthy way. Support your folks through the trials and tribulations of change. When you are able to handle the downside of change, you deserve to celebrate the upside. No one said that change was easy. But did anyone who ever undertook change realize how very difficult it could be? In some respects it is better not to have the whole picture...like that knee operation your doctor recommended. You were convinced you would have far more mobility once you healed and you looked forward to hiking those trails again. But if you had known how much pain there would be in the interim and how long the physical therapy would be, you might not have followed through with the surgery. And so it can be with major organizational change. Even with a compelling business reason for the change, it will be challenging. 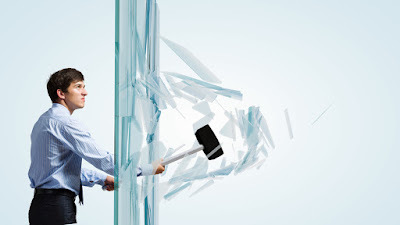 If you are truly serious about organizational change and really want to break down the barriers to implementing new ways successfully for the long-term, you need to be prepared to endure some pain and be rigorous about tracking and reinforcing progress. 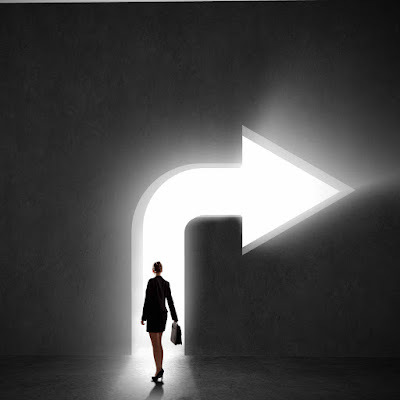 When organizational change has truly been achieved, it will seem so natural that you will almost forget what it was like before…just the way you forgot how long it took to climb the stairs before your operation. CommunicationEmployees need to fully understand what is in it for them and the company. How will the change improve their situation…as individuals, as a team and as an organization? The goal of the change and the rationale for the change needs to be clear, compelling and reiterated often so the work force keeps their eye on the prize. CommitmentCommitment to the change needs to be at the highest level. Each and every leader needs to be involved in the process…as coaches and models of the new behaviors required to effect the change. ConsistencyChange should be considered for the long-term. It will take time and consistent effort to achieve. Make sure that any new hires, especially at the executive level, support the change even as it takes hold.